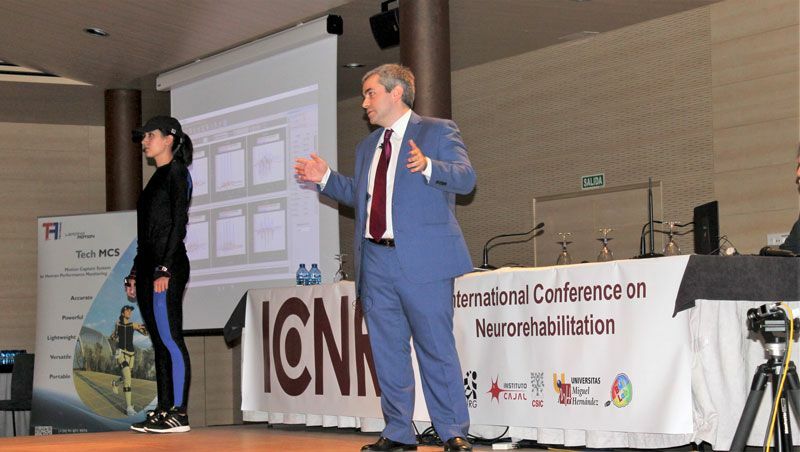 During October 2016, Technaid has attended the biennial meeting “International Conference in Neuro Rehabilitation” (ICNR 2016). This year’s edition the conference has coincided with the biennial edition of WeRob the International Symposium in Wereable Robots. Due to the overlap of both events, near five hundred people were brought together at the “Guardia de Corps” pavilion at La Granja de San Ildefonso (Segovia). This year, apart from our stand, organizers give us the opportunity to teach a Workshop on inertial technology and its use on biomechanics. 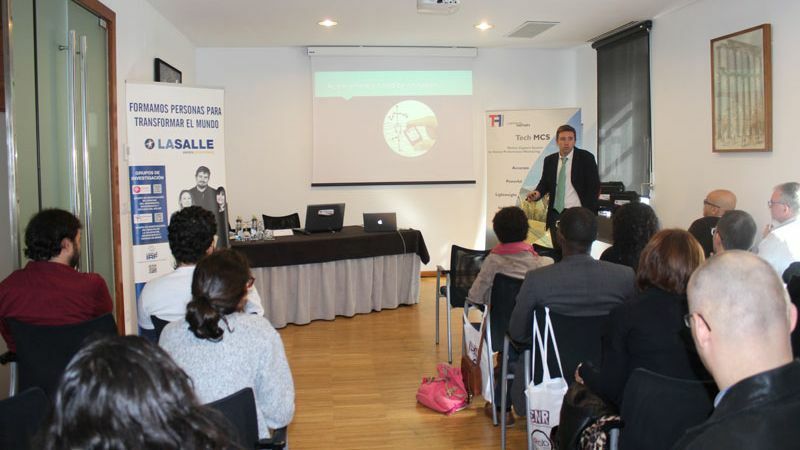 We did it jointly with our La Salle University colleagues. The lecture begun with our team mate Carlos Prieto (Technaid) who went in depth in the engineering process behind this technology. 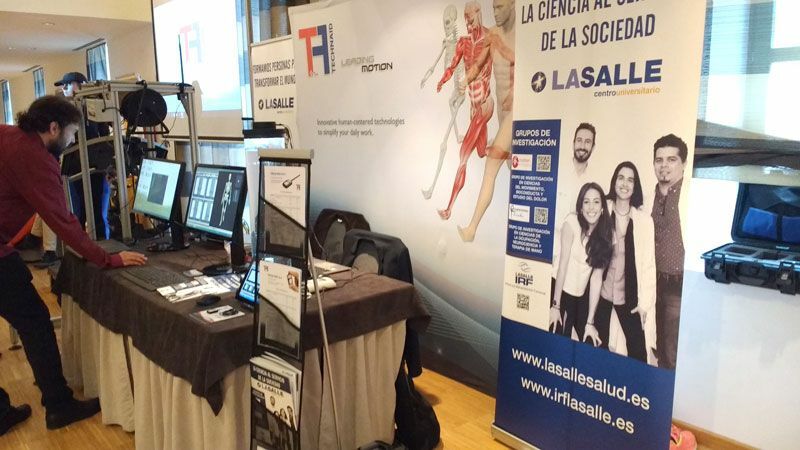 Lucía Salamanca (La Salle) shared with the attendees the results of the Validation Study carried out at La Salle with our Motion Capture System and a camera-based motion capture system. The paper is currently under publication process. Then Prof. Pablo Caicedo (Uniautónoma Cauca, Colombia) took the opportunity explain some of the algorithms for gait segmentation that has been researching with Technaid’s technology. 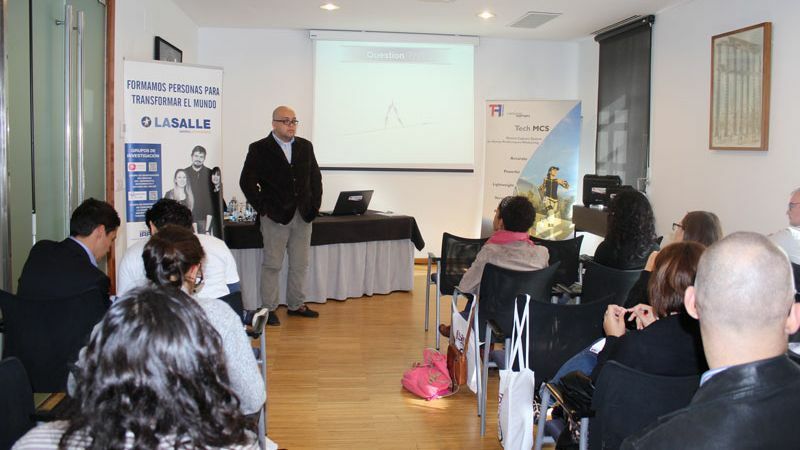 To finish the lectures during the morning, Dr. Sergio Lerma (Hospital Niño Jesús, Madrid) gave a lecture about his experience using inertial technology on his research with children with CP. The afternoon was dedicated to the hands-on experience of the attendees to the workshop with the Tech-MCS systems provided by Technaid. For the rest of the event, Technaid’s staff were at the disposal of all the people interested in inertial technology and rehabilitation exoskeletons. Thanks to Isabel, our MoCap girl, we and visitors could do online biomechanical analysis and any other test requested immediately, showing this way, all the possibilities of the hardware and the software of the Tech-MCS system. The overall balance of the conference is quite positive for Technaid mainly because we have been allowed to answer and inform to a wide audience about our technologies. We are glad to see as many people on these events interested on the same research area than us, the human biomechanical assessment.